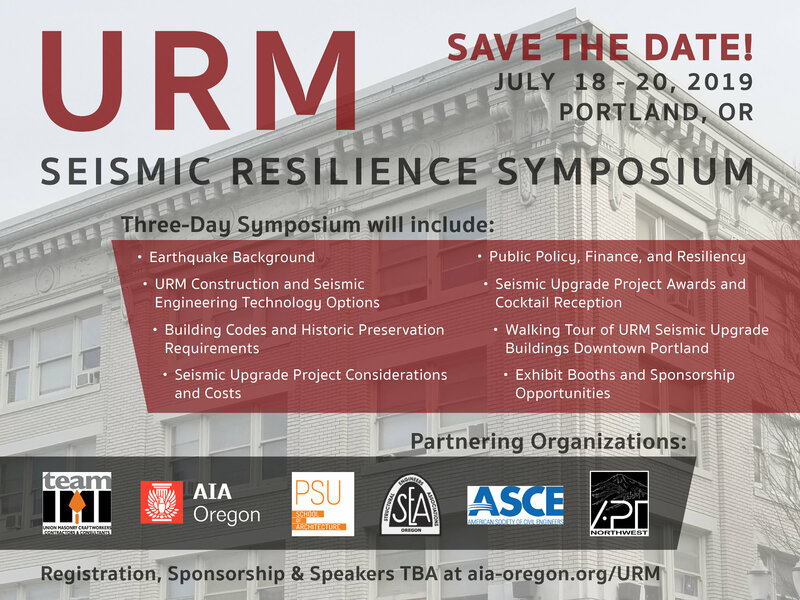 Lock in your sponsorship by February 1, 2019 and have your company name and logo present on our initial invitation to architects, engineers, contractors and preservationists across the US and Canada. Sponsorship contributions help us continue and develop workshops and help us keep costs down for attendees, emerging professionals and students. To become a company sponsor for the workshop, please contact administration@apti.org. Registration material will be released on February 15, 2019. 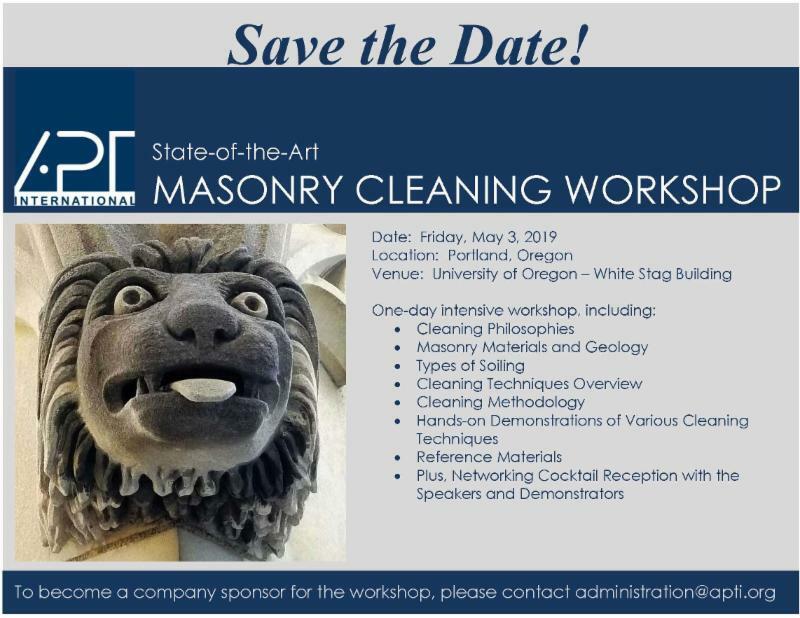 Sponsorship is for the Masonry Cleaning Workshop event only and does not include other APT conferences, events, or workshops.